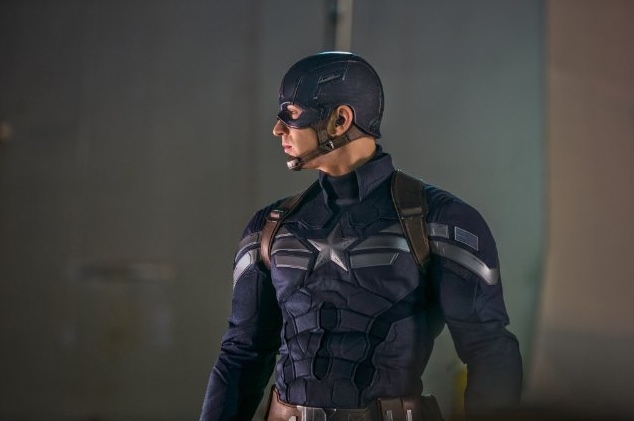 A predictable plot doesn’t stop Captain America 2 from being a thrilling spectacle, though. Directors Anthony and Joe Russo stage each stand-off with a satisfying immediacy while also giving them some crucial breathing room to show Captain America flipping, punching and throttling without an unnecessary amount of cutting. They also seem to have found the blend between big action set pieces and fleshing out interesting characters, where many other Marvel sequels seem to try one or the other. This is the Marvel movie that (finally) focuses almost exclusively on the sinister potential of an agency like S.H.I.E.L.D, where a shadow faction within it plans to unleash a deadly surveillance state on the world. This makes “The Good Guys” within the system question the very foundations of that system. They must also weed out those bad guys before their mega drones start wiping out hordes of civilians. 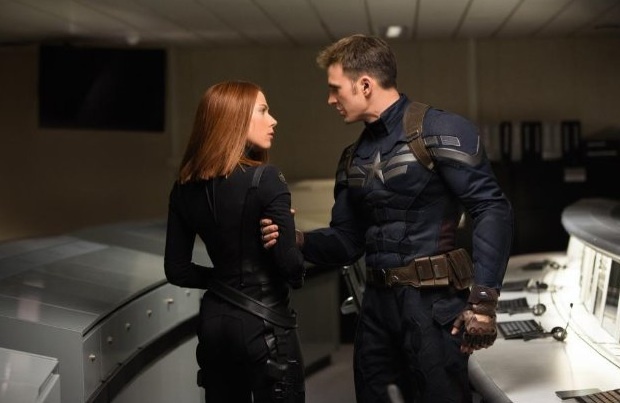 It pits Captain America against the very agency he works for, and also gives refreshing three-dimensionality to Nick Fury (Samuel L. Jackson) and Black Widow (Scarlett Johansson). Captain America uncovers S.H.I.E.L.D’s dirty secrets both high and low, scaling immaculate metal and glass skyscrapers and venturing to dusty, sinister-looking old government bunkers. Along the way he is hunted by the other character mentioned in the title. The Winter Soldier (Sebastian Stan) is a shadow assassin whose existence is largely built on myth. He’s also (Major spoiler) an old friend that fought alongside Captain America during World War II and died (or so we thought). He was restored by German scientists to be a mechanical killer with a robotic arm whose only match is the Captain’s shield. Captain America is the only one who remembers their past friendship for most of the movie, and the script thankfully builds to a final confrontation between the two that avoids a winner-takes-all brawl that other Marvel movies often favor. It seems necessary to measure The Winter Soldier up against other entries in the Marvel franchise (epidemic? ), because although it is a fairly good movie on its own, it operates under an assumption that viewers have seen more than just the first Captain America. While television shows continue to expand and redefine the medium in endlessly interesting ways, Marvel superhero movies are adapting to an increasingly serialized world more than any other franchise today (there’s even Agents of S.H.I.E.L.D., a tie-in TV show). Much of the discussion of the evolution of modern television focuses on how TV shows are becoming cinematic and never the other way around. Marvel movies build on each other, offering cameos and guest stars from other installments while almost always offering teases at the end to make an audience want to come back. There are Marvel movies planned through 2028, which I find baffling, disheartening, ridiculous, etc. While I consider Captain America: The Winter Soldier a blockbuster spectacle made with a high amount of finesse, at this rate I really don’t think I’ll want to be anywhere near a Marvel movie in 14 years. This entry was posted in Reviews and tagged Anthony Mackie, Captain America, Chris Evans, Iron Man, Marvel, Robert Redford, Samuel L. Jackson, Scarlett Johansson, Stan Lee, Superhero movies, The Avengers, thor by matterspamer. Bookmark the permalink. I like what was done with the Winter Soldier character and wish more screen time was devoted to him. I only hope that Winter Soldier reappears in Captain America 3 or even Avengers 2. That said, I agree that movie itself seemed too much of a segue to Avengers 2. Most of the time when I was watching Captain America 2, it felt less of a Captain America/Winter Soldier story and too much of a Nick Fury/SHIELD/Hydra story.